Tags: 12 Days of Christmas, carol, Christmas, Frank Kelly, parody | Permalink. For a fun read on why indulging over the holidays can make you feel gross check out this article in the Washington Post. 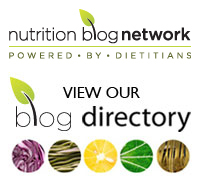 (Thanks to the Dietitians Network of NS for sharing via FB). Have a great weekend all! Tags: Christmas, excess, gluttony, holiday eating, indulging, over eating | Permalink. Today I just want to have a little rant about the obesogenic environment we live in. The other day I had to go to Walmart for something. I know, I know. It’s a store that I normally avoid like the plague but knitting emergencies do strange things to people. Anyway… Christmas is popping up all over the place despite the fact that it’s obscenely early and one of the first things I saw upon entering Walmart was a huge bin of Coke Christmas ornaments. These weren’t just ornaments though, they were bottles of Coke shaped like Christmas balls. Beside the fact that they’re completely impractical, they’d break pretty much any branch, why on earth do we need to put pop on a Christmas tree? I truly hope that this is a sign that the mighty are falling. If Coca Cola are becoming so desperate in their marketing that they’re resorting to make ornaments filled with pop maybe they’re not doing so well. Honestly, there is more than enough celebratory eating over the holidays is it really necessary that people adorn their trees with Coke??? Later that same day I went to Starbucks for coffee with a friend. I know, more corporate shame. Would you believe that there are no other coffee shops in the city open past 6 pm? I would choose somewhere local in a heartbeat but without that option I found myself ordering one of the new chestnut praline lattes. Because it was night time and I’m an old dietitian I ordered it decaf, half sweet, with 2% milk. Silly me, because I failed to request no whipped cream or sugary sprinkles. I’ve ranted about the use of sweetened coffee as the default for their iced coffees before but really, this is just a crime against coffee. No coffee shop beverage, aside from an espresso con panna, should automatically come with whipped cream and sugary sprinkles. A latte by definition is espresso, steamed milk, and a little bit of foam. Not whipped cream. Not sprinkles. If customers want those options they should have to specially request them and pay a little extra. Why must the unhealthy option be the default? Even at half sweet it tasted very sweet. According to the Starbucks website there’s 31 grams of sugar in a tall chestnut praline latte. That means in my half sweet version (which I scooped the whipped cream and sprinkles off of) there was still nearly 4 teaspoons of sugar! If I ever get it again I’m going for 1/4 sweet, which, at 2 teaspoons of sugar is still too sweet. Screw it, I’ll just have an herbal tea. 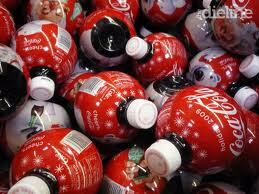 Tags: Chestnut praline latte, Christmas, Coca Cola, Coke, Coke ornaments, obesogenic environment, Starbucks | Permalink.